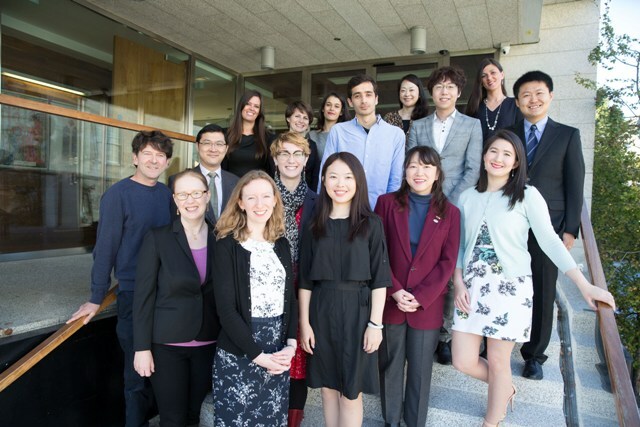 The Trinity Centre for Asian Studies acts as a focal point for Asian Studies at Trinity College Dublin, and brings together teaching and research in Chinese, Korean and Japanese Studies as well as other regionally-based scholarship and pan-Asian research. Our activities focus on contemporary society and culture, language learning, diaspora studies, and comparative studies including Asian-European studies. The centre’s aim is to promote Asian Studies nationally and internationally, and in so doing, to be the leading knowledge centre in Ireland for policy-makers, business leaders and scholars in the field. The centre organises regular seminars, public lectures and events. The Trinity Centre for Asian Studies was formally launched on 7 October 2015 by the Minister for Foreign Affairs and Trade, Charlie Flanagan, T. D.
The offices of the Trinity Centre for Asian Studies are located in the annex to the Arts Building, in Rooms 2011 and 2012. The most convenient way to access the Trinity Centre for Asian Studies is by using the pedestrian entrance on Nassau Street (www.tcd.ie/maps). The entrance to the centre is through an automatic door, to the right of the Douglas Hyde Art Gallery and to the left of the large television screens advertising Trinity events. Turn left at the top of the steps. Rooms 2011 and 2012 are located at the bottom of the corridor.